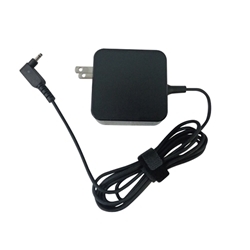 Description: New laptop ultrabook ac power adapter charger. This high quality aftermarket adapter comes with a power cord and is 45 watts. Please note that this adapter does not work with the UX21A or the UX31A models. That adapter has a different tip. The specifications are below.